As technology has shown a significant role in the development of the Western World and its economic growth, Third World countries are still suffering to integrate advanced technologies into their system today. With globalization and cooperation from developed countries advanced technologies can be infused into Third World countries. Integration of technology in Third World countries will produce several advantages such as economic growth and development. Through integration of technology, Third World countries will have the opportunity to have a better connection with the rest of the world. In the 21st century technology has been an extremely important aspect of every individual and organization in the Western World. Yet, Third World countries struggle in incorporating technology in their policy and culture. In fact, the inability of developing a policy to integrate technology in their system is strongly considered to be one of the primary reasons for the poor economy of those countries. Currently, technology with its advanced features is used as the primary source to keep people connected around the world. Today, Third World countries cease to incorporate technology into their communication, leading to an increasing gap with other parts of the world. As a result, people from all over the globe tend to pay less attention to the poor economic conditions of the Third World countries. By avoiding integration of technology, those countries will instead reach economic stagnation, which might later increase poverty and lead to a higher unemployment rate. Infusing technology into Third World countries and underdeveloped countries should be strictly considered by the United States and other developed countries. By integrating the World Wide Web and allowing the communication lines, those countries will improve their economy and raise their people’s standard of living. The idea of incorporating technology and its effect on improving the economy in those countries seems to be clear and easily applicable. However, determining different ways to infuse technology into Third World countries is considered to be more complicated than it looks like. Most of Third World and underdeveloped countries do not welcome the influence from the United States and other developed countries due to several political factors. Some Third World countries have the belief that bringing technology will lead to an increase in control and influence by the developed country to be used as a way to take over their nations; putting them at a further disadvantage. It is important to have the people living in Third World countries realize that integrating technologies into their system will be used for their own benefit rather than to harm them. 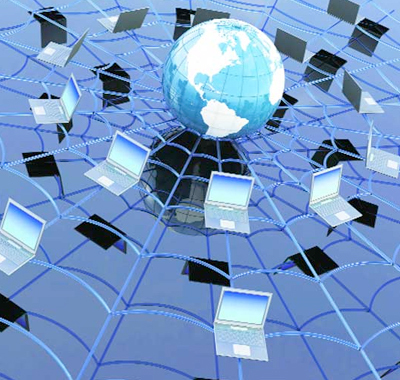 The World Wide Web technology is one of the most popular inventions that support growth theory in economics and is considered to be one of the greatest solutions to increase the Third World countries current economic situation. The United States and other developed countries use all kinds of existing technological devices and practices to help them work on new ideas and implement them into reality (Sandford, 2003). Therefore, marginal productivity rates in those nations are directly related to the technological discoveries their people make that allow them in gaining a sustainable economic growth over their competitors. On the contrary, Third World countries are typically positioned far from this economic growth that could boost their economy due to lack of available technological resources (Sanford, 2003). In many Third World countries the unemployment rate is found to be very high. Driving technology can decrease the unemployment rate by creating more job opportunities in those countries. During recent years the United States and other developed countries have been using advanced technologies to significantly contribute to their market development and increase productivity, which Third World countries can also benefit from. For instance, a project done in West Africa called e-Ghana has created 1,000 job opportunities from integrating technology. The project’s main goals were to develop an electronic tax application and create new jobs for West Africans (Woodman & Long, 2014). Additionally, by integrating technology in Third World countries more IT companies will be able to open and this will lead to an increase in job opportunities. With the support of the technological transformation the benefits will be remarkable and it will build upon local technical skills in the Third World countries. As technology continues to advance, creating a sufficient technological environment in different types of organizations where almost every job today requires a certain degree of advanced IT skills. As a result, technology has been increasing job opportunities across the world (Dobush, 2015). With today’s technology and its latest features all of its aspects could be utilized in every industry. The emergence of new services is one of the benefits advanced technologies offers to all different kinds of industries. Today, mobile phones and other computer software make those services accessible for everyone online. Third World countries can benefit from those provided services through advanced technologies in different fields such as agriculture, healthcare, and education. For example, in Kenya a project called e-Warehouse uses mobile phone services to help small farmers store their crops (Dobush, 2015). A variety of industries can be advanced through integrating technology in Third World countries. However, indicating the appropriate technological elements in different organizations will be crucial for Third World countries to reach economic success. One of the main reasons to infuse technology in the Third World countries is that existing technologies developed by other nations can be used; the Third World countries just need to learn how to integrate and operate them. Consequently with all integrated technological advantages, Third World countries will have the opportunity to develop and share the same conditions as the Western World (Wessner, 1999). However, different ways should be determined in order for this phenomenon to occur. One of the possible ways proved by several economic analysts to infuse technology to Third World countries is globalization, which can be reached by advanced technological emergence. Globalization can occur through communication channels, technical and scientific workshops that will allow Third World countries to adopt the existing advanced technologies. Also, the process of globalization will help Third World countries to adjust to technology at a much faster pace (Archibugi & Pietrobelli, 2003). One of the most common challenges that Third World Countries face when integrating technology is the lack of infrastructure that might interfere with technology. It is crucial prior to infusing technology into Third World Countries to develop a sustainable infrastructure plan that could support advanced technologies. Where technology cannot work by itself. With planning and developing infrastructure technology in the Third World countries can have sustainable economic growth. Continuously improving the infrastructure in those countries will also achieve sustainable development in different fields such as schools, factories, and roads, not only in technology (Ng’ang’a, 2012). While integrating technology in Third World Countries is well thought out for economic development and growth, it is also as important in improving education. As a matter of fact, education is a priority that Third World Countries need today to take them to the next level and even lead them to the status of developed countries. Having better education can benefit the people in many aspects such as improving health, political stability, and even economic growth that will eventually alleviate current conditions of poverty. By integrating advanced technologies education will reach superior outcomes. A lot of students in those countries do not attend school due to lack of resources such as transportation and school supplies. Fortunately, with the emergence of technology in their education system those need for resources will no longer be an issue. However, providing education systems with existing technologies may not be enough. Therefore, to reach expected outcomes and achieve economic development, Third World Countries will need to train their individuals to develop required technical expertise to be able to perform certain roles (Wilson, 2004). For this to happen, those countries will need institutions that will involve technology experts to help the people adjust to digital technologies. Furthermore, it is extremely valuable for Third World Countries to consider developing their own educational systems that will lead to highly competent graduates in the future. When integrating technology into education, specifically in Third World and developing countries, it is important to consider creating a curriculum that will satisfy the students’ need in those countries. It is assumed that most of those students have never experienced such advanced technologies before. A non-profit organization in the United States called the Math/Science Nucleus designs curriculums with integrating technology for developing countries. The curriculum provides the teachers with essential training to perform the task. One of their innovative projects was designing a curriculum for a science class in Eritrea. Results have shown that in developing countries students and teachers have adapted to the innovative curriculums positively (Blueford & Rosenbloom, 2003). Also, one of the benefits of cultivating innovative curriculums is that it will be used as a driving force for local teachers to become more qualified in order to undertake roles that will allow them prepare for a more educated generation. It would be extremely valuable if all education systems in Third World Countries at least at the bare minimum have an online connection to the rest of the world such as a website or a social media account. These online connections could bridge them to the world and could make them more approachable. A lot of schools in Third World Countries are lacking essential supplies such as printers, pencils, and papers. By having an online connection, the rest of the world will have an insight and perceive in experience of their current situation. Consequently, this bridge will generate online donations and fundraising that will help those schools receive their essential supplies. Furthermore, with the belief that integrating technology is the key for better education, donations will probably also include digital technologies. A donation of only a projector and a laptop computer in a teaching classroom can develop a technological learning experience for students (MacKinnon & MacKinnon, 2013). As the implementation of integrating technology appears to be feasible, various challenges may be encountered along the way that might prevent this strategy. One of the possible challenges is that several people living in Third World Countries do not welcome the influence from the Western World. Most of the citizens will resist these changes and the strategic plan of integrating technology could be negatively perceived. In fact, they find that bringing technology into their countries will be a source of corruption and bad influence to their culture and society. It is really crucial for Western and other developed countries to identify suitable ways to help those countries realize the global benefits they will develop from integrating technology (Sipe-Haesemeyer, 2016). Moreover, a survey conducted by the Pew Research Center on current Internet users in 32 developing countries identified the impact of the Internet. The survey concluded that 42% of the people think that Internet has a bad influence on morality, which is a key principle for people living in Third World Countries (Poushter, 2015). While integrating technology in nations where such cultural heritage is important, various ethical factors must be placed into consideration. In conclusion, in order to infuse technology into Third World countries it is significant to take social, economic, and political factors into account. Infusing technology into Third World countries can make a positive difference to their nations. With globalization and the help of developed countries such as the United States, Third World countries will achieve economic development and growth. However, it is really important to put infrastructure development plans into consideration in order to support the integration of advanced technologies. Technology will bridge Third World countries to the rest of the world and make them more approachable. A sustainable technology development will offer better opportunities and raise the standard of living of the people living in Third World countries. It will also create more job opportunities and will enhance the education system to achieve a sustainable economic wealth. Education accessible to children of all horizons. Connect: UNESCO InternationalScience, Technology & Environmental Education Newsletter, 28(1/2), 17. MacKinnon, P. C., & MacKinnon, G. (2013). Technology Integration in Developing Countries: A Case Study of Higher Education in Jamaica. International Journal Of Technology, Knowledge & Society, 9(1), 51-59. Ng’ang’a S.I., (2012). Infrastructure and Technology Planning and Development for Sustainable Industrial Growth: Lessons from Wood Enterprises in Kenya. International Journal of Business and Social Science, 3(16), 251-261. Sanford, J. (2003). Developing countries. New York: Novinka Books. Wessner, C. (1999). The Advanced Technology Program. Washington, DC: National Academy Press. Wilson, E. (2004). 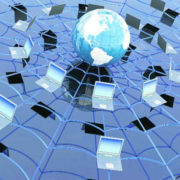 The information revolution and developing countries. Cambridge, Mass. : MIT Press.